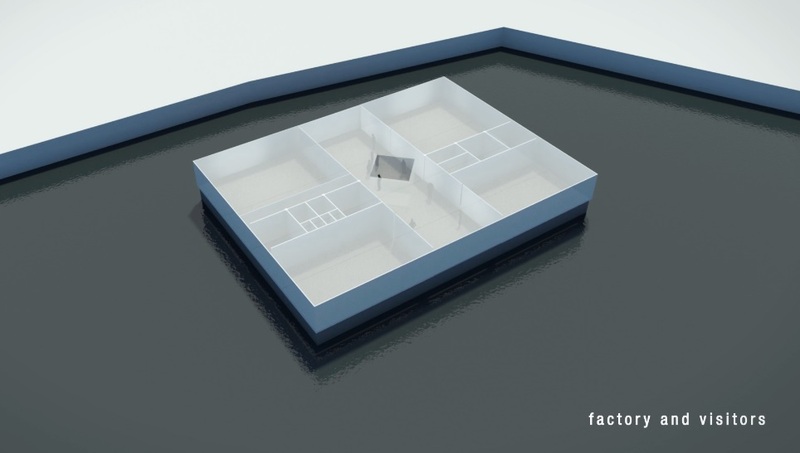 Home News Innovation The world’s first floating farm is coming to Rotterdam soon! 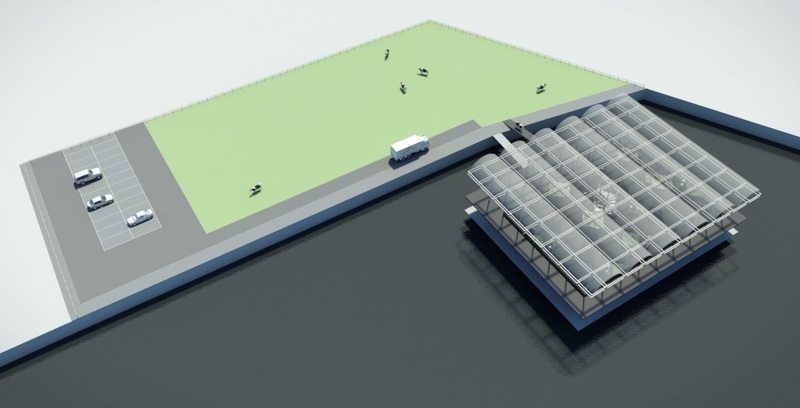 The world’s first floating farm is coming to Rotterdam soon! You may have heard about this a couple of years ago, when plans for a floating farm in the Netherlands were first put into place. Well, now the time is drawing closer and by the end of this year, Rotterdam will be the first place in the world to have a floating dairy farm in its port. Crazy, yet cool, huh? Plus, you can even see it all in action, as visitors can visit the farm and the cows and learn about the whole process. 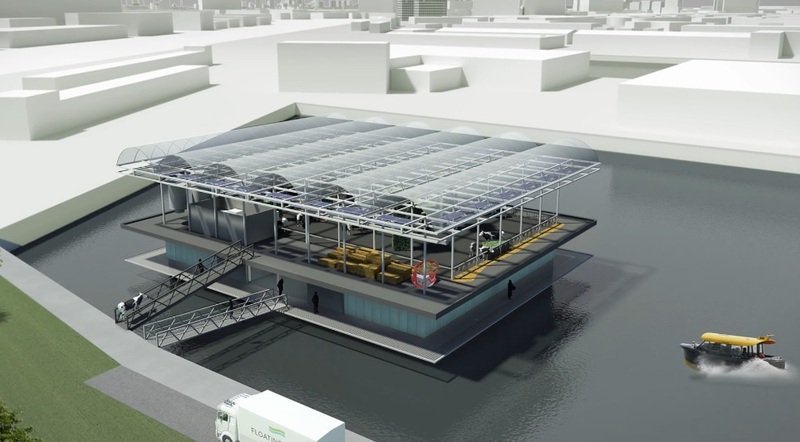 Beladon, the Dutch property company, has created a prototype for this innovative floating farm. The ‘floating farm’ will be anchored to the ground in the middle of Merwehaven harbour to stop it from mooving (sorry, that joke was staring me in the face). It will consist of 3 levels, filled with cows (40 to be precise), that will produce on estimate 800 litres of milk per day – all milked by robots. The farm will feed their cows with waste products from locations such as local restaurants, all collected by electric powered trucks from GroenCollect. The remaining feed will be from home-grown duckweed. 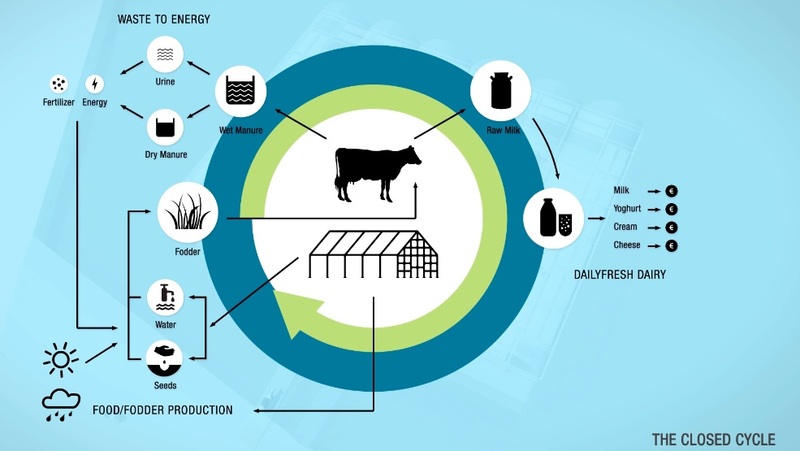 The end result is that the farm will produce milk and yogurt and the cow manure will also be processed and sold on. Before you think that this whole thing is totally bizarre, apart from just looking cool, it is serving a great purpose. It was originally designed to help Rotterdam create it’s own produce sustainably. 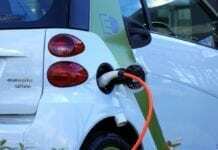 Also it means that in extreme weather, there won’t be a shortage of these products, as they do not need to be transported into the city (they are already there)! It also makes it cheaper and more environmentally friendly as the produce will not be transported for miles to reach its destination. 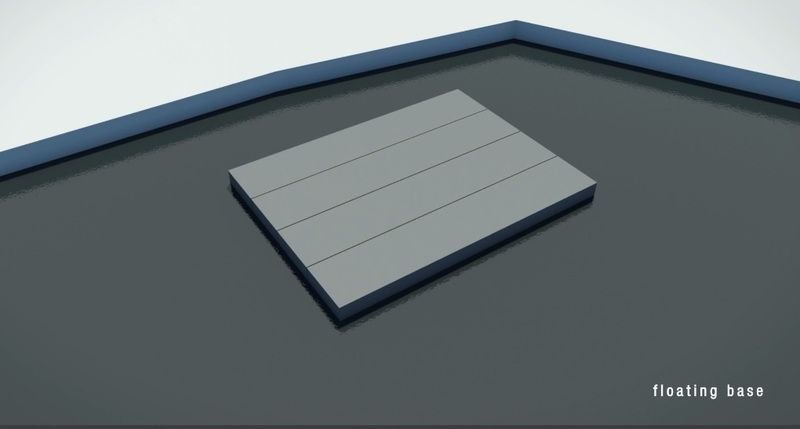 Overall, a floating farm is a lot better, as less water and chemicals are used, transportation is down, leading to less pollution and space on land is not taken up. If it all goes to plan, then there is a larger goal for the company to expand to other parts of the Netherlands and even the world. 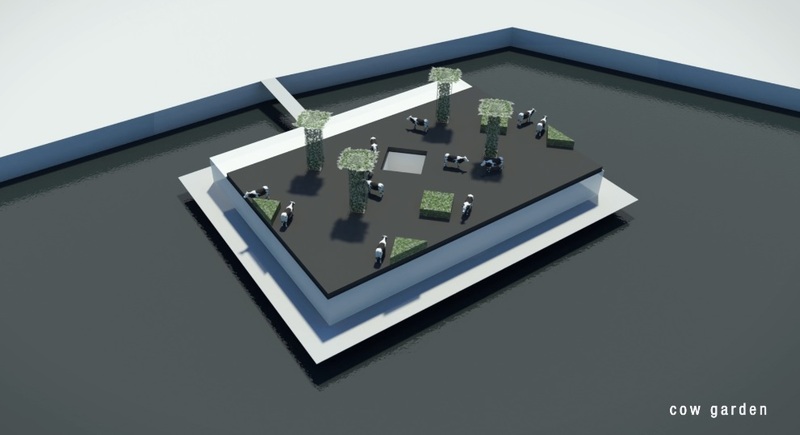 What do you think of these new floating farms? Let us know in the comments!